CD PROJEKT RED and Fantasy Flight Games present fans of the acclaimed Witcher series with a new addition to the gaming universe. Based off the novel by Andrzej Sapkowski, The Witcher board game is now coming to life and is available for both PC and mobile platforms. The game begins with players starting off their journey through the Witcher universe, while completing various tasks. 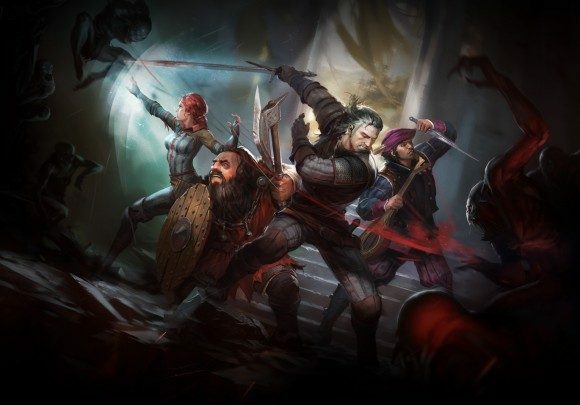 Users are given four completely unique characters to choose from; Gerlat Rivai – monster slayer, Triss Merigold –sorceress, Yarpen Zigria – dwarven warrior, and Dandelion – Roguish Bard. Each character is given a particular set of skills and has various ways of overcoming obstacles. There is no set character to choose from, as players are given the freedom to choose which path to start. The game has plenty of playability due to new challenges and quests being available every time users log on. Quest can range from monster hunting to exposing potential threats to the monarchy. Companions and competitors that you will meet along the way are specifically designed with unique skill sets and personalities. Even though The Witcher Adventure Game was just made available on PC, players are not just limited to experience the fun there. You can now take the game with you by mobile and is available for purchase on Apple and Android phones. Also, it is purchasable through Steam, Google Play, and GOG. The Witcher Adventure Game is accessible for both Windows and OS X operating systems. While the series is definitely not foreign to the gaming world, developers are looking to market towards both veteran players and those who have never heard of the Witcher universe. Building the concept of a game, based off the board game is certainly different, but has the potential to be nonetheless riveting for players. You can purchase the game through the official website or by the other websites mentioned above.